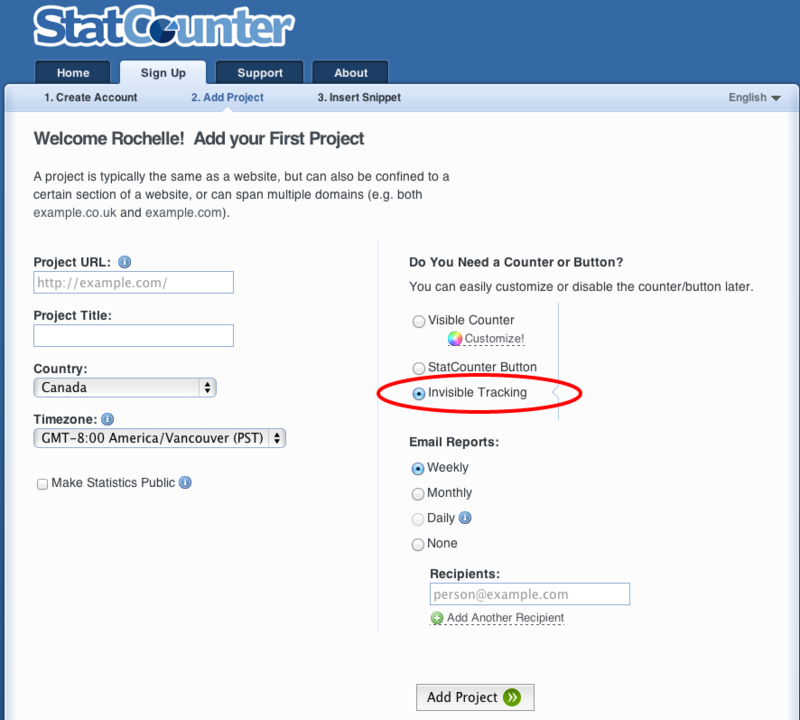 First, you'll need to setup a Statcounter account. Click on the 'Create Account' button. Your 'Project Title' will automatically be populated, but you can overwrite this if you want. You can use the 'Standard' snippet (see below). Click on the 'Copy to Clipboard' icon (circled in red below). The icon will change to 'Copied!' once you've successfully copied the code. 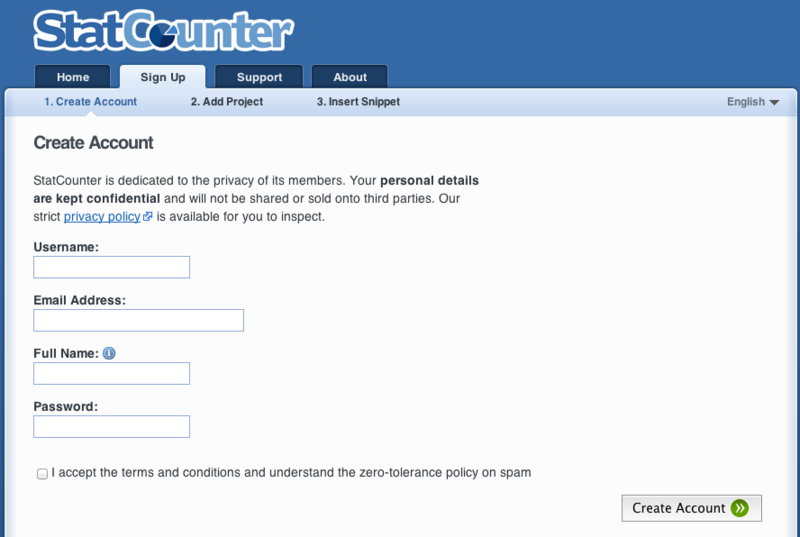 You are now finished with Statcounter.com. Please note that you will also receive an email with the code if you want to copy and paste it later. To copy the code from the email"
Or, right-click your mouse over the highlighted text and select 'Copy'. 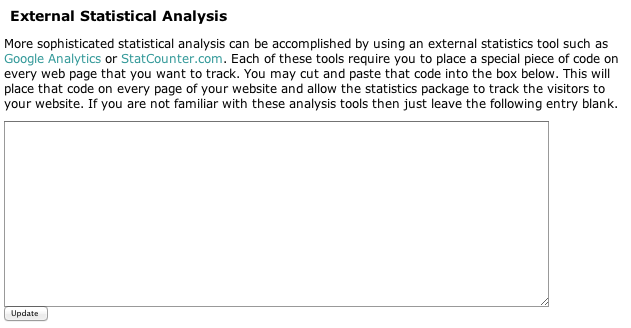 Click in the text box beneath the 'External Statistical Analysis' (see below). The box will get highlighted (blue) and your cursor will start blinking in the box. You can either right-click with your mouse and select 'Paste' or use Ctrl-V (PC) or ⌘-V (Mac) to paste your code snippet. Be sure to click the 'Update' buton to save your code! You will now have access to more statistics and details about your visitors, etc. Enjoy!